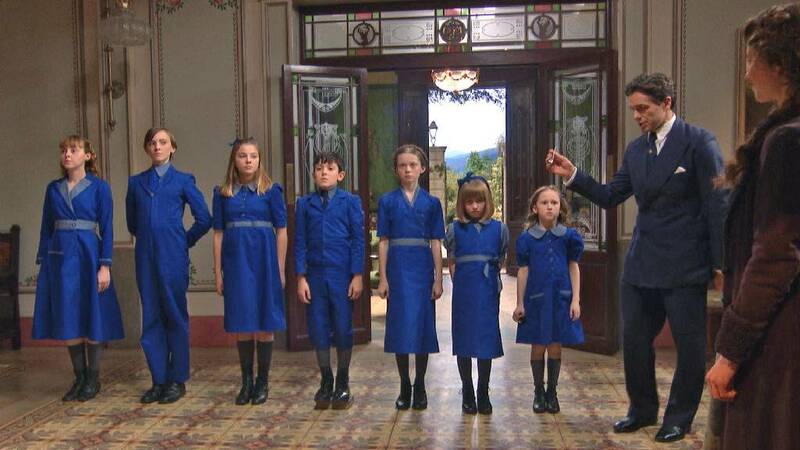 Beloved by generations of audiences worldwide, The Sound of Music tells the inspiring true story of the von Trapp Family Singers and their escape from Austria during the rise of Nazism. Rodgers and Hammerstein’s 1959 hit stage musical garnered five Tony Awards, including Best Musical, and the blockbuster 1965 movie adaptation won five Oscars, including Best Picture. Great Performances presents the 2015 live U.K. broadcast version starring Kara Tointon (Mr. Selfridge) as Maria, Julian Ovenden (Downton Abbey) as Captain von Trapp, Katherine Kelley (Mr. Selfridge) as Baroness Schraeder, Alexander Armstrong as Max, and Maria Friedman (Joseph and the Amazing Technicolor Dreamcoat) as the Mother Abbess. Cinematically photographed on adjoining sound stages, this production offers a more naturalistic interpretation of this great classic of the American musical theater. The score contains beloved classic songs including “The Sound of Music,” “My Favorite Things,” “Do-Re-Mi,” “Climb Ev’ry Mountain,” “Edelweiss” and more.